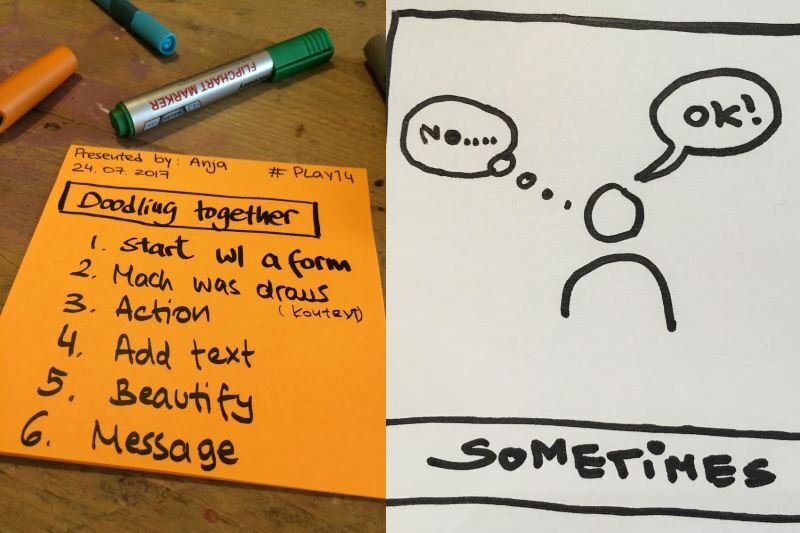 This game combines Chinese Whispers / Telephone with Doodling. It is including everyone and helps to loosen up as one cannot do any wrong. Don't comment on the outcome in judgemental words - make it neutral / appreciative - "now let's see what you created! - anyone wants to share what they see here?" that they’ll fill it as instructed - together. inform them to refrain from doing more as instructed which will be important in the last 3 steps. Celebrate the weird & wild creations! 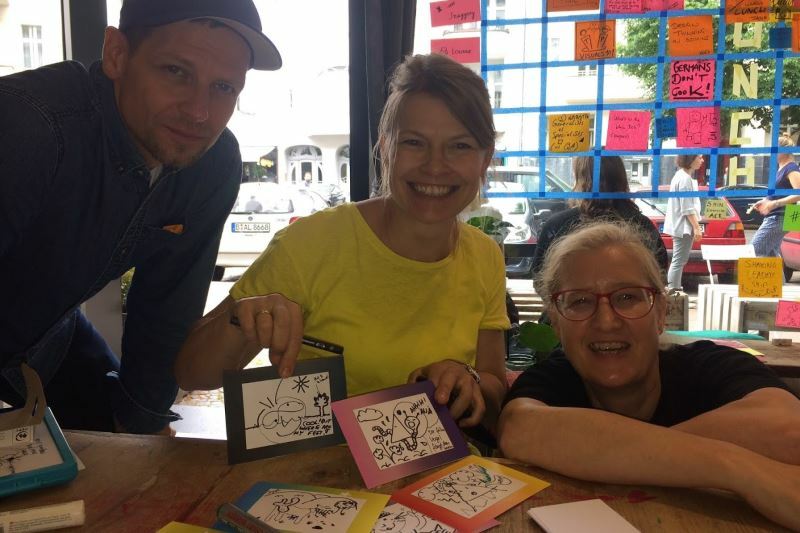 Use postcards & have participants choose one at the end of your workshop; let them “beautify” w/ colors & let them write their address on it & pass the postcard w/ address to someone else; have each of them write workshop greetings / things they want to share with each other on the postcard and play their postman so they get a little workshop souvenir afterwards.